Did You Know? Goa's Best Local Chef Runs This Restaurant From His House? Chef Peter’s Kitchen is nowhere on the touristy stretch and as a result of that, few know that the chef’s actually been given the ‘best chef of India’ award by the Department of Tourism in the non-hotel category. And, for all the right reasons. A meal here will make you realise what the fuss about Chicken Cafreal and prawn curry is all about. Also, it's a family-run place situated in the chef's backyard. Okay, now back to the meal. So guys, if you’re in search of authentic, home-style Goan/Portuguese food, this tiny gem has to be on your must-try list. It’s so laidback that when we asked the chef what the restaurant timings are, he almost looked baffled, saying “Nothing. You call me up and I’ll come and cook for you.” Now how endearing is that? 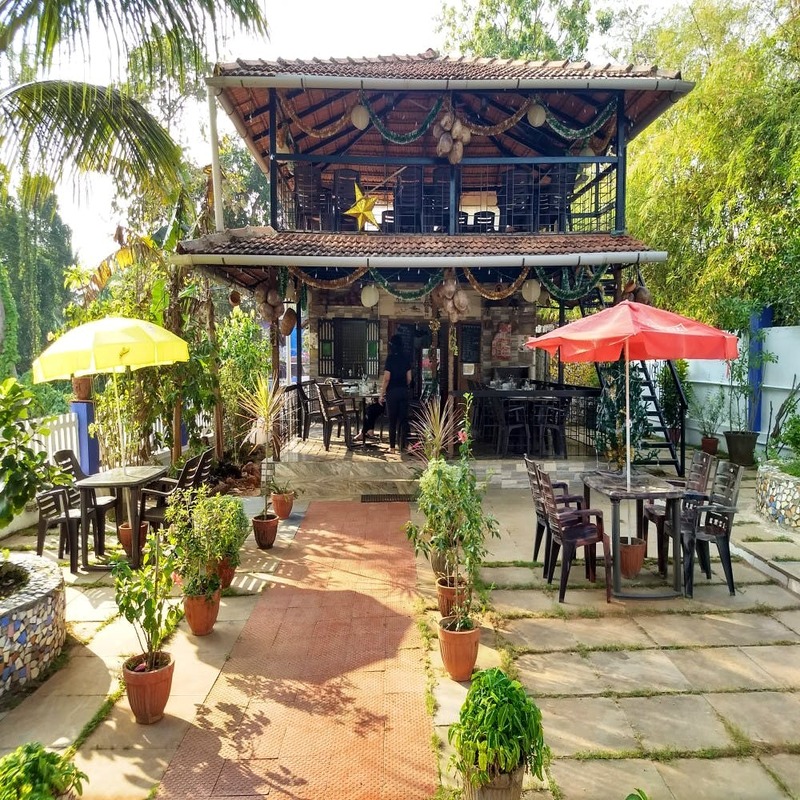 We also hear that a lot of locals host their family get-togethers on anniversaries and birthdays here, lending this place a very quaint, village hangout vibe. San Joao or Christmas, they celebrate everything – together. Since we were a very hungry group of six, we ordered a lot of food. Starting with the house wine, of course. The carnivores loved the pork vindaloo with sannas. The combination of fermented, fluffy and slightly sweet sannas undercut the vindaloo’s tanginess, making this one a hit on the table. The cafreal, was very special too for we learnt that it was cooked using traditional methods (on a stone), ensuring that the chicken didn’t lose its tenderness when cooked. If you go here and don’t try the cafreal, you’ve tried nothing. Like, nothing. The potato rechardo wasn’t on the menu but the chef graciously offered to make it for the vegetarian on the table. Then, the veg xacuti came and it was clear that we’d been having it doused in way too many masalas all this while. This, with crusty poi, was the real deal. We also tried the fish curry and rice and rawa-fried bombil which were polished off without a word being exchanged on the table. You know that’s the mark of good food, right? It leaves you speechless. To end the meal, we went straight for the caramel custard and serradura (a sweet, milky Portuguese pudding with biscuit). The chef also suggested the jaggery and tender coconut ice cream but God, by now, our stomachs were bursting at the seams so we decided to save it for a later visit. Ask Peter for suggestions for the menu can be confusing. The family here has also taken up the charge of bringing some traditional, forgotten recipes to life, so if you really want to go local, try those out.